Good paying jobs are hard to come by in this tough economy, even for experienced professionals (the latest employment report this morning shows a 9.7% unemployment rate nationwide). After millions of job losses since the beginning of the current recession two and a half years ago, new grads are in a especially difficult position to land a good job. However, that doesn’t mean that a decent job is out of reach for recently graduated college student. If they target the right companies, those that are particularly new-grad-friendly, the chances of getting a nice job may still be pretty good, even though the competition will be high. There are several financial companies among Experience’s selections of best places to work in 2010. One of them is online discount broker Scottrade, which is also on the Fortune magazine’s 100 Best Companies to Work For 2010 list. Scottrade is selected because of its corporate culture and the environment that helps employees advance their careers in the firm. Scottrade has 460 branch office across the nation (which is also one of the reasons I like Scottrade) and about 22% of the branch managers started their careers with the firm as interns. With a welcoming corporate culture, extensive training program and competitive pay and benefits, no wonder Scotttrade attracts the new grads from around the country. 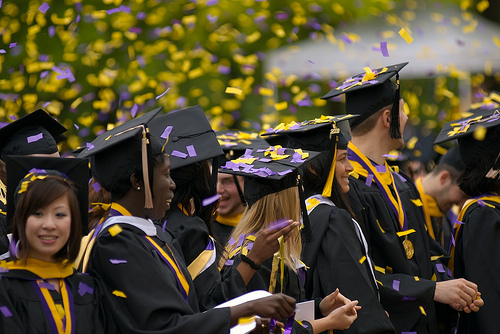 Recent college grads will find not only opportunities for professional growth, but also the educational support to foster that growth—22% of the firm’s current branch managers started their career as an interns. 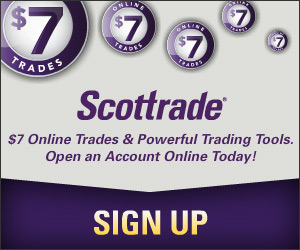 In addition, you will discover that Scottrade is a stable company, with no lay-offs in its 30 year history! One more thing… Scottrade sponsors company outings, fun contests and competitions throughout the year. Scottrade typically hires over 500 interns a year. Historically, around 50% of those interns have been hired into full time positions. Currently, there are approximately over 50 open internship positions across the firm. Following is the full list of companies selected by Experience.com. You can use the above link to see detailed description of each company in the list.